Time Traveller touches on the life story of newcomer author Colin Woodcroft. It touches on his life story through his extensive travelling both in Australia and overseas. Sprinkled throughout the book and between his many holiday adventures are thoughts and musings, along with a smattering of facts to engage the reader. 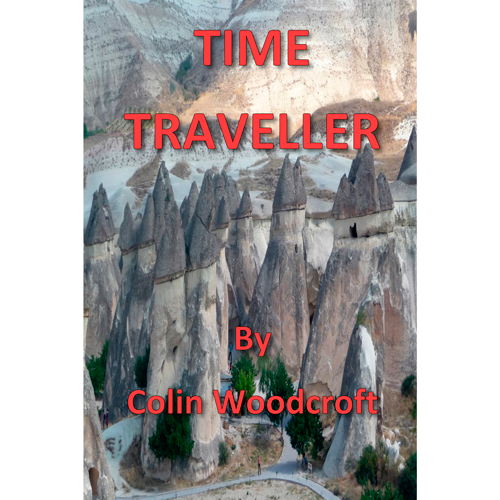 Time Traveller is the first book published from newcomer author Colin Woodcroft. It touches on his life story through his extensive travelling both in Australia and overseas. Sprinkled throughout the book and between his many holiday adventures are thoughts and musings, along with a smattering of facts to engage the reader. Read about his early years of growing up in Sydney’s eastern suburbs, moving to the inner west and his many adventures and mishaps through a myriad of holidays. The book is not so much a travelogue or travel book, but rather the author’s recollections of amusing events throughout his life related to holidays. It is an easy to read book where the author invites the reader to relate their own experiences to those in the book. Anyone growing up in the city and having done some travelling will readily identify with some of Colin’s experiences. While the reader is taken through many holiday experiences from childhood trips to the central coast, ski holidays, family car trips and journeys through such places as China, Russia, Turkey and France, he/she is also guided through hilarious episodes as a school teacher and life in general. Colin gives us facts and opinions from the cost of skiing in Australia, his music preferences, how the decisions we make affect our future and many holiday experiences that don’t go all that smoothly. It is a bright, uplifting book for all ages where all readers will find something to connect with.